In what is likely my last basketball game of the season, our crew found itself in rather unusual digs. 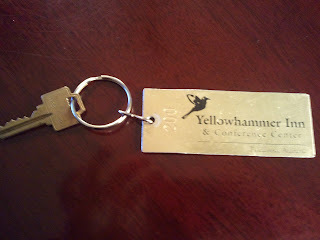 I've been on SEC sports for about 3-4 years now, and never stayed in a place like the Yellowhammer Inn in Tuscaloosa. The NIT isn't a planned event, at least on college campuses. It's not on the schedule, so when we're assigned to Stanford vs Alabama the same weekend as the Alabama Relays (several major college track and cross-country squads), the Cardinal basketball traveling party was forced to stay in Birmingham. 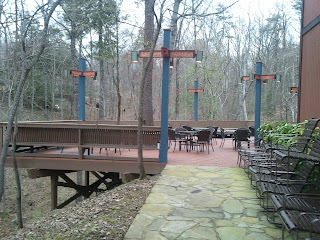 And our smaller group was forced about 15 minutes off the beaten path. 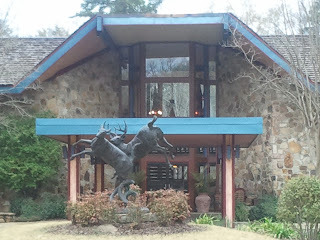 I called the Yellowhammer Inn "rustic," a term a more jaded colleague called a euphemism (for something crappy). 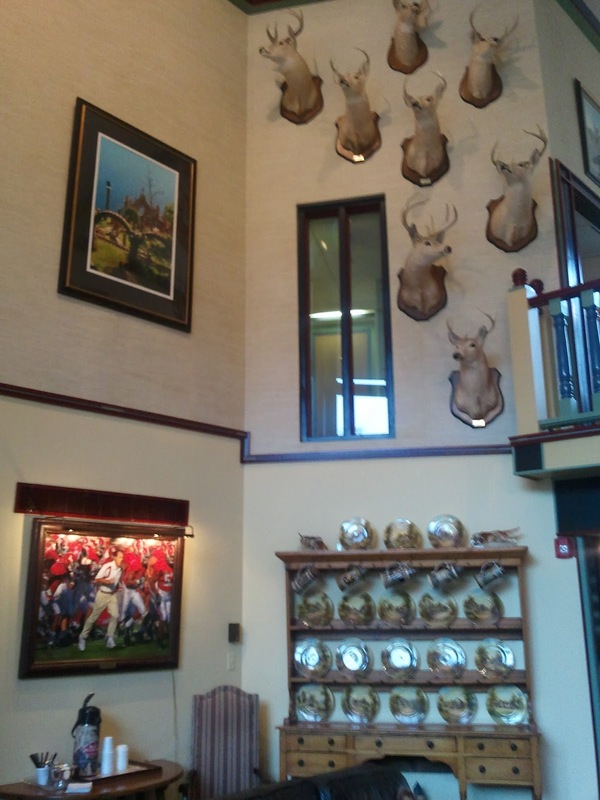 I can honestly say I've never stayed in a hotel that featured eight bucks heads in the lobby beside an oil painting rendering of Nick Saban. It is a hunters/golfers retreat, and I imagine it's where the high rollers stay for football. It is without business amenities or room service, which can be inconvenient for people used to life working on the road. I'm sure some of them never actually used an actual hotel room key - until now. Personally, it gives me a Tuscaloosa flavor I haven't felt before. This is the town that displays the BCS Championship trophy at Wal-Mart, so anything a little different is good. Just so long as I don't see Scatman Crothers roaming the halls, I won't worry about being the main dish in a Stephen King movie adaptation.